The quality of a bespoke engagement ring depends largely on the stones chosen and the skill of the jeweler. Bespoke jewelry is custom made. 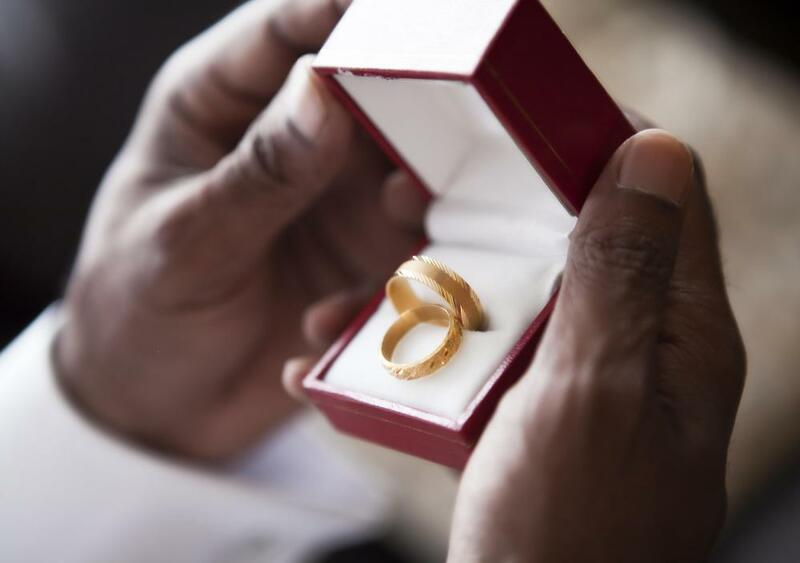 Wedding rings can be made to match the bride's engagement ring. 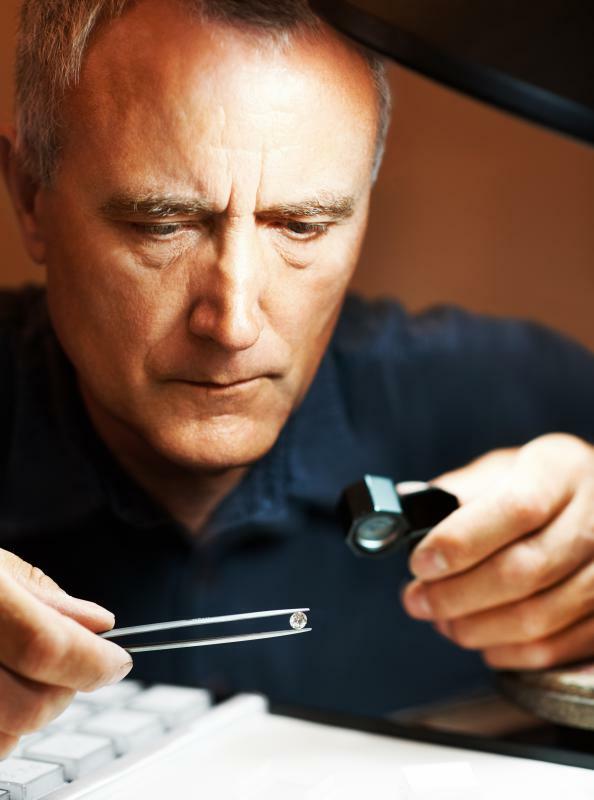 Finding quality bespoke jewelery depends on deciding what kind of jewelery you are looking for, selecting the right jewelery maker, and meeting with a bespoke jeweler in order to find out if you can work together. You can do research on bespoke jewelry sources online and also by speaking with friends and family. As the process of making the jewelry is so personal, meeting with a jewelery designer for an initial consultation is a good way of making sure that you and the designer are on the same page. As many bespoke jewelery designers and makers specialize in one type of jewelry, it's important to know what you are looking for before you begin your search. If you are interested in bespoke jewelery made with a particular type of metal, you will likely want to search for somebody who is experienced in working with that material. On the other hand, if you want beaded jewelry, you will need to find someone who is skilled in designing and working with beads. Selection of a bespoke jewelry designer becomes even more important if you are looking for jewelery designed in a certain style or a specific technique, such as wire wrapping. Once you've determined the type of jewelery you want, you should begin looking for a jewelery designer. In some cases, the designer will actually craft your jewelery himself, or he may design the jewelry and ask a skilled craftsperson to actually create the finished product. You can certainly ask family and friends for recommendations, particularly if you know that they wear bespoke jewelry and you actually like the pieces that you have seen. You may also wish to do online research or even visit craft fairs, gallery shows, and boutiques to see what is on offer and get the names of designers. When consulting with a bespoke jewelery designer, be sure to bring with you any drawings, photos, or even sample pieces of jewelery that can help the designer understand what you want. If you have some stones or other objects that you want incorporated into your piece, bring them with you as well. Ask to see samples of the designer's work, as this can help you decide whether this designer can produce the results you want. If you are uncomfortable with the jeweler, move on to someone else. In general, bespoke jewelery is expensive, so take the time to select the designer who can fulfill your expectations. How Do I Choose the Best Bespoke Shirtmaker? What Are the Pros and Cons of Bespoke Shoes?